It’s known that punk bands are famous for their destructive spirit rather than its cosntrutive philosophy. Nevertheless, there are some their features that would be extremely useful at branding, advertising and marketing. Punk philosophy is bold and simple, two concepts that are pure gold for best branding consultants. The way they acted and the way they sold their image was a great example of a winner strategy. I’ve selected the 4 best lessons that they tought about brand strategy planning and development. There’s no wonder that Ramones’ 14 records are exactly the same as the first one. Well, it’s not the best strategy to carry out in the music business, however, it’s a really good one to develope at branding consulting. Keeping your brand simple, coherent and solid is the best way to build trust and to gain the respect of your clients. Music is much more than guitars and riffs. Music is a experience, a way of life. People like to wear rockstars clothes, they cut their hair like them, they want to live their lifes. Let’s turn your brand into a rockstar, make it attractive for your clients, make it an experience. Don’t sell your products, sell a way of life. Brands like Harley Davidson took advantage of it a few years ago to give a boost to their brand and the result was incredible. Now, Harley Davidson is much more than a brand, is a religion. The best music band in the world would be as known as your aunt Viula without media. It’s not enough to be good, you need to show it to your audience. Punk rock bands used media in a really smart way. It seemed like hey hated radio and TV because they were the instruments of the power, but they were there whenever people switched their TV. For best branding agencies it means to build a good story and to know where to place it. Remind yourself that you don’t have to do what everyone else is doing. Having a solid storyline, and keeping it coherent you’ll make people trust your brand. Choose the right meadia for your story and your clients will feel part of it forever. It's known that punk bands are famous for their destructive spirit. 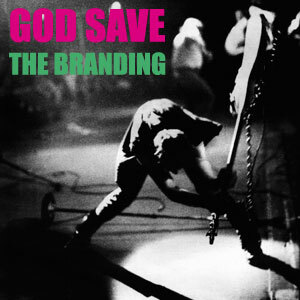 Punk is bold and simple, two concepts that are pure gold for top branding consultants.